I am such a fan of Valentia‘s products. I mean, this is my third review of their skincare products and so far they always deliver. I have been testing out their newest product, the Pure Glow Brightening Moisturizer, for about a week now and I love it. 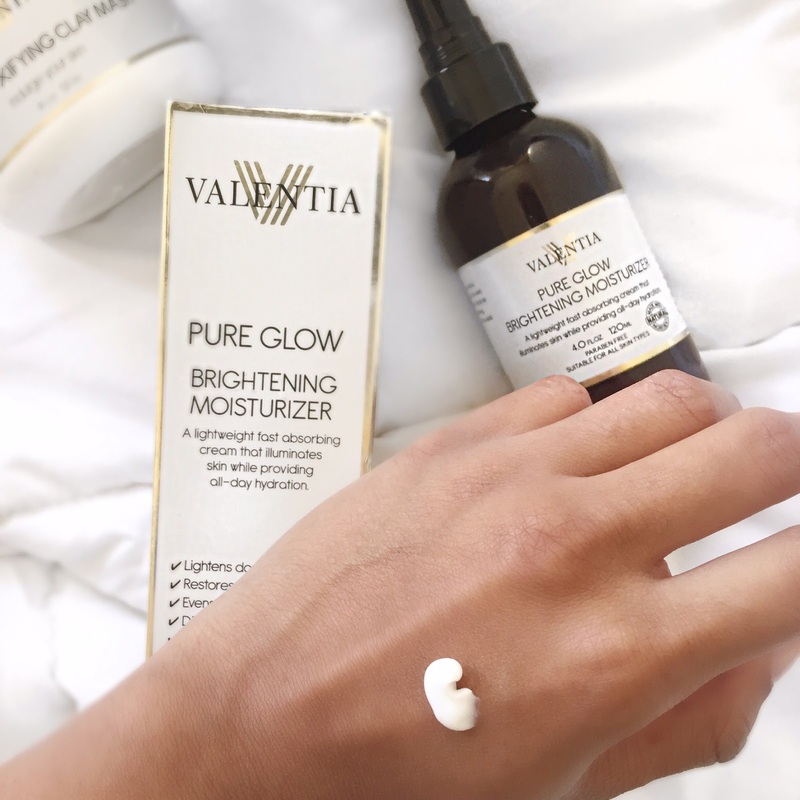 The Pure Glow Brightening Moisturizer is natural, vegan, and made with organic ingredients like Botanical Hyaluronic Acid, Safflower, and (my favorite) Shea Butter. The Ginseng and Kojic Acid helps fade dark spots over time and even skin tone. I normally use raw Shea Butter in the colder months directly on my face and body, so I love that this moisturizer uses that ingredient but has a much lighter consistency for summer/fall. Currently, I use the oil cleansing method to wash my face. 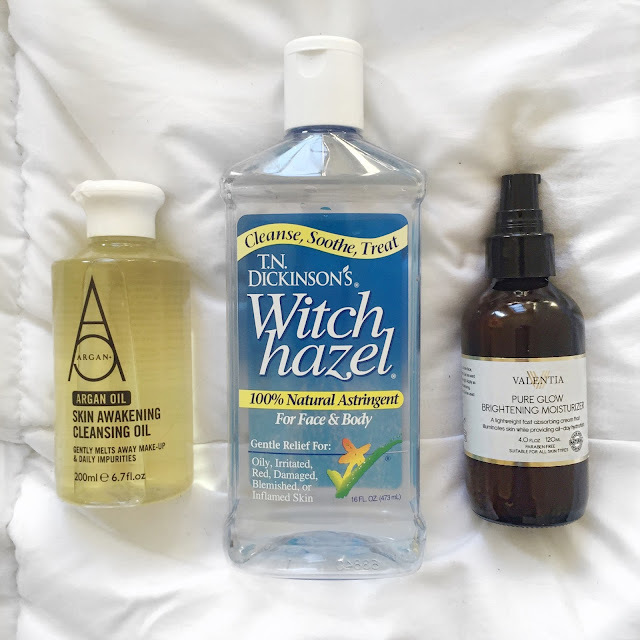 Then I apply witch hazel. Next, I apply the Pure Glow Brightening Moisturizer. Then I use a makeup primer and apply my makeup as usual. I find that this is a great moisturizer to use under makeup without feeling greasy or too dry throughout the day. 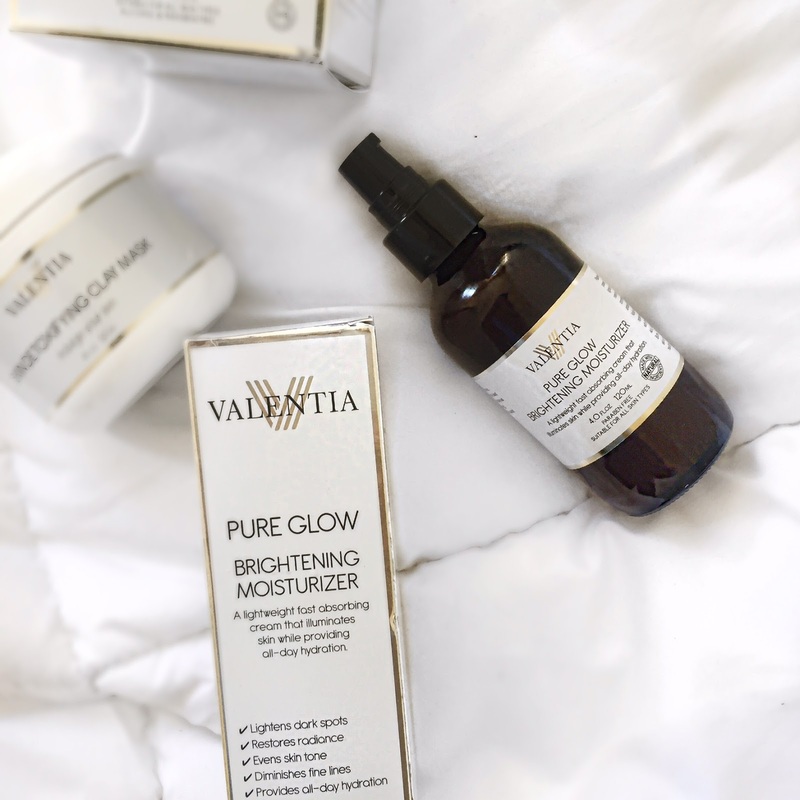 Valentia Skin Care products have been formulated with natural and organic cosmetic ingredients that will repair and protect the skin. Natural ingredients with an organic base have proven most effective at repairing skin damaged by sun or wind, preventing signs of aging such as wrinkles, dark spots, and reversing the effects of oxidative stress on the skin. The price point is great for those on a budget – $25 for 4 oz, that lasts 4-6 months. Yes, a little goes a long way. I found using two pumps is a good amount for my dry skin so one pump for normal to oily skin will do the trick. But lucky for you, Valentia is 20% OFF using code XXTPDCDD! Continue to get goodies, sign up for giveaways, and learn about their latest products via their Instagram and Facebook!